The biggest race launch of the year, the spectacular Meet the Stars of the 2019 fonaCAB International North West 200 in association with Nicholl Oils, will take place on February 28 in the Lodge Hotel, Coleraine. It is a night not to be missed as fans get the chance to meet the riders who will be in action on the North coast during May 12-18 Race week. This year’s launch line-up will include Glenn Irwin, Alastair Seeley, Dean Harrison, Jeremy McWilliams, Maria Costello, Adam McLean, Lee Johnston and Richard Cooper. As always, there may be some last-minute additions to that stunning list! An evening of fun and chat will be hosted by Claire McCollum and Stephen Watson with racing pundit Liam Beckett adding some experienced insight-and tall tales- to the mix! Race fans will also have lots of opportunities to meet their favourite riders for selfies and autographs during the evening. So come along and hear for yourself what’s to come in the latest instalment of the Irwin v Seeley North West battle. 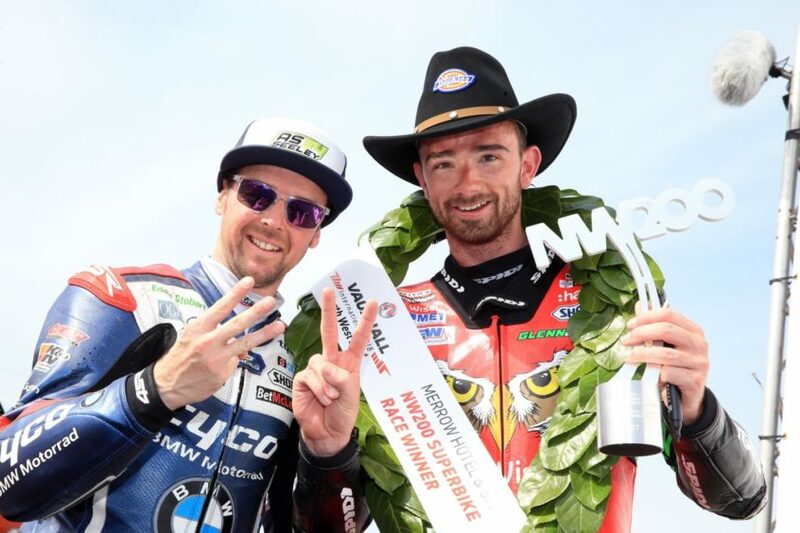 Listen to Lee Johnston telling how he intends to beat his best mate Dean Harrison. And hear how North West newcomer Richard Cooper plans to get to grips with the famous Triangle circuit. For anyone who cannot make the Lodge Hotel event there will be a second chance to catch all the North West 200 news at the Carole Nash Irish Motorbike and Scooter show at the RDS, Dublin the following day, Friday, March 1. In a new departure for the North coast races, the Dublin event will host a special North West 200 day with the full line-up of race stars travelling south after the Coleraine event to spread the word about the North coast races. The show will open at 2pm with the riders appearing on stage throughout the day until 8pm.